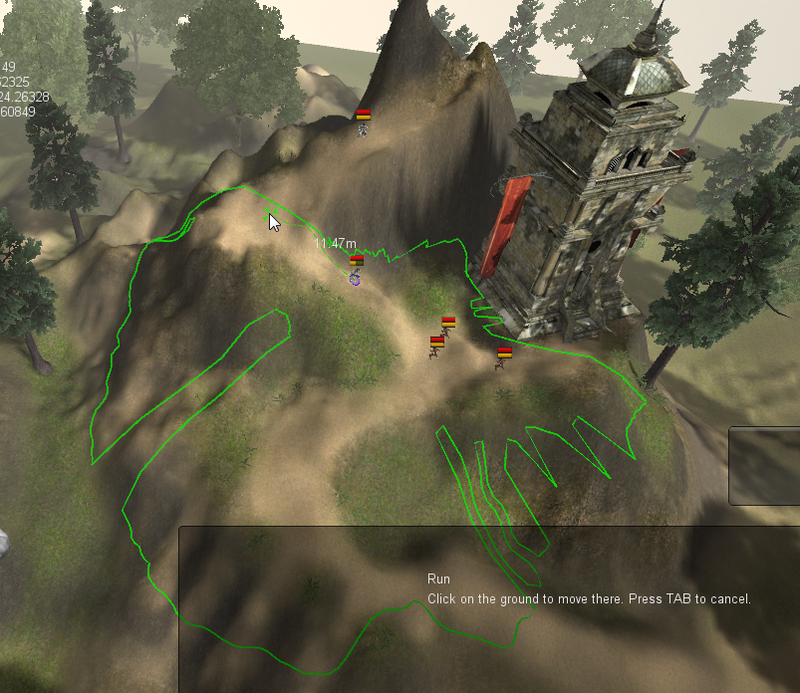 My problem with my movement system was that it did not take detours around obstacles into account. 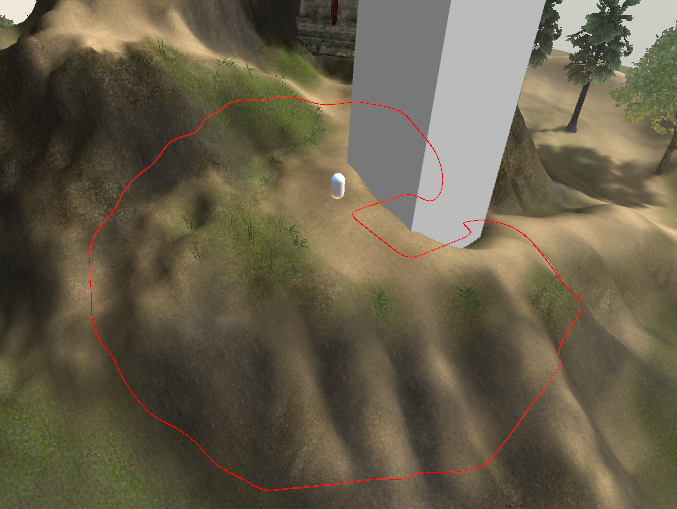 The path up the mountain should be included in the movement range, but how would that be calculated? The brute force approach to include detours in the movement range was inefficient. It looks ugly and takes something like 10 seconds to compute. I realized that to do what I want, I will really have to put a grid in the map. 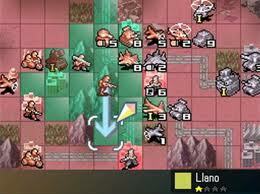 But the idea is that grid will only be used for calculating move range. Characters will still not move by the grid. So with this, I can run a plethora of algorithms for calculating paths. Now what I did, was to use Dijkstra’s algorithm without specifying an end goal. 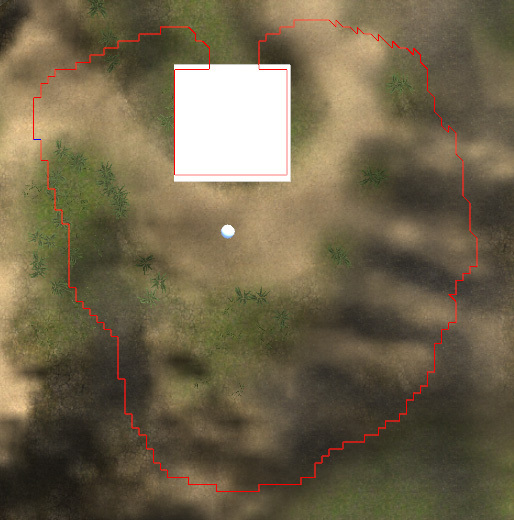 So I’m letting it run on all directions, but imposing a limit on how much squares it can go to. It’s sort of like doing a flood-fill. 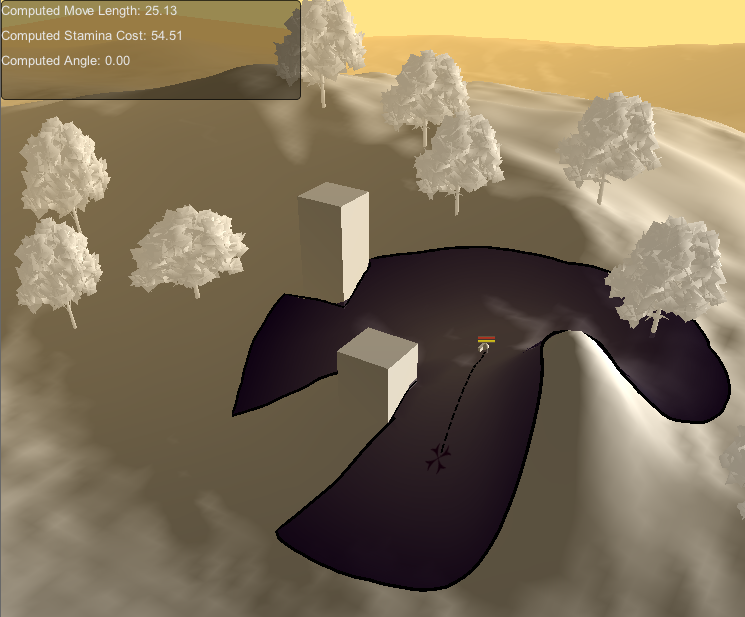 But here I need to take into account the slope of terrain: steeper angles cost more to move. And with Dijkstra’s algorithm, it was easy to put that in. So far there’s nothing really remarkable about this. 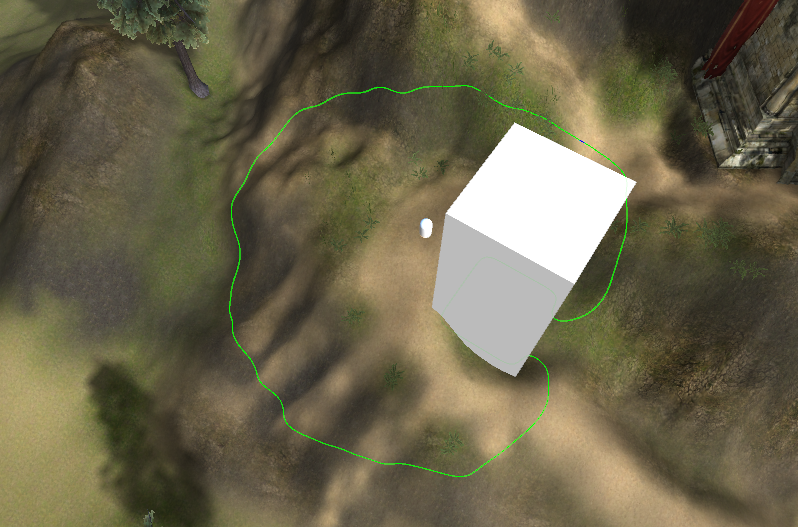 But now that I’m using a proper pathfinding algorithm, it will take obstacles into account properly. 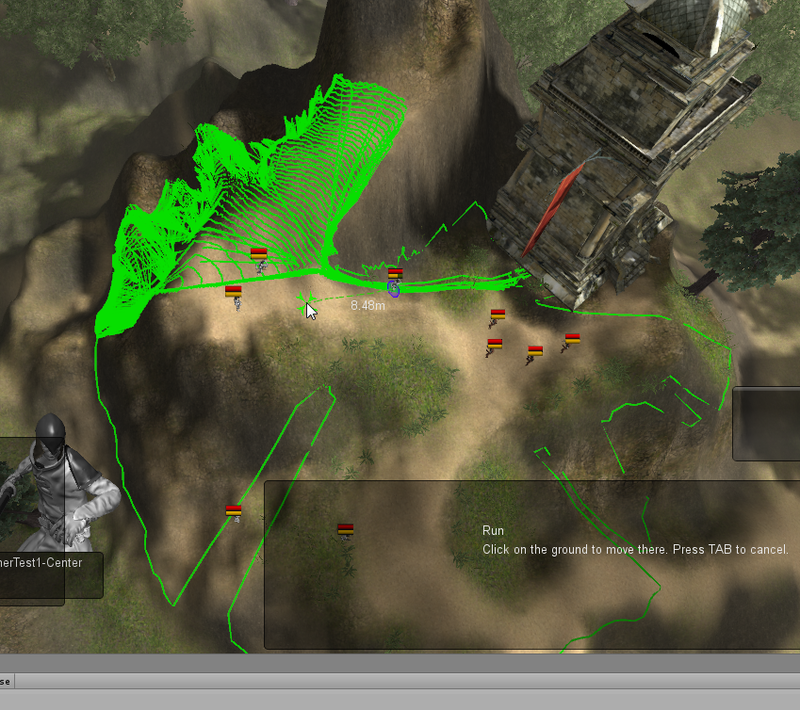 For example, this is my movement range in top view. 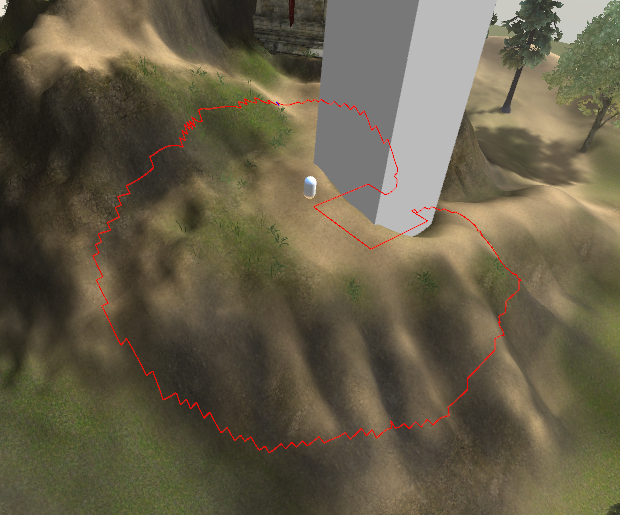 If you add an obstacle (like a building) within the perimeter, the movement range will adapt properly. Now obviously, it’s looking ugly. The curves are jagged. 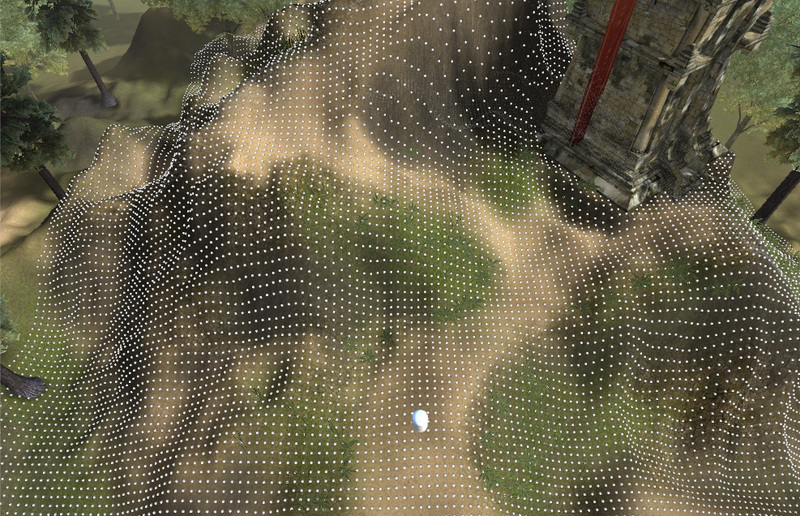 So the next step was to apply some sort of smoothing to the points’ x,y,z positions. Which is quite nice and exactly what I want. All I’m doing here is a simple average (i.e. mean) filter: for each point, you average its x,y,z position, and that of the point next to it, and the one before it. Now actually, I’m applying the filter 4 times, to get a good smoothened out look. 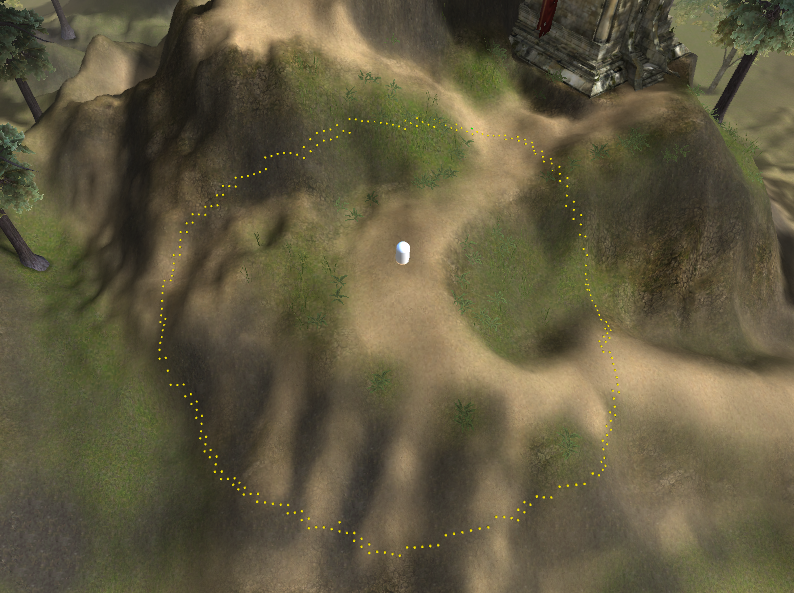 It follows the original path fairly well. And as a nice bonus to all of this: it takes about 0.1 seconds to compute this movement range, so it really is far better than my old code.